Creating videos can be a very complicated and cumbersome process, but can be very rewarded when done correctly. Between framerates, sound, codecs, and color grading, there certainly is a lot of technicals to learn when it comes to video, but one of the most important traditional techniques you can gain an understanding for is how to light your videos properly. Lighting is one of the many creative aspects of videography, so I can’t cover everything. Creativity and realism are essential, and a critical lighting aspect first and foremost. But there are a few techniques used on TV and film that you should be aware of, and noticing these things will make you better prepared for your next video project. There is a lot to look at when looking at video lighting, and it’s something I’ve covered a bit in this blog before. So instead of recommending products directly, I figured I’d give you a few things to look out for when picking what lighting kits you’d want to use for your next project. Obviously, the biggest component is cost. While we’d all love to work with a bunch of Kino Flo kits and HMI ARRI systems, it’s not practical for those who are working with smaller budgets. Products like LED panels are a great alternative for those with the smaller budgets and want something with a lot of price to power ratio, and single point LEDs give you even more options with their spotlighting effects. Color is a key component when shooting video, and setting the proper white balance is far more important in video than you would find with stills. Which is why it’s so important to understand the color cast your lights may have, and why Roger is currently testing various light systems, and measuring their color using spectrometry (that will be coming soon). A Kino Flo 5500K bulb set is going to have radically cooler than the 3200K bulb set, which is set to Tungsten. 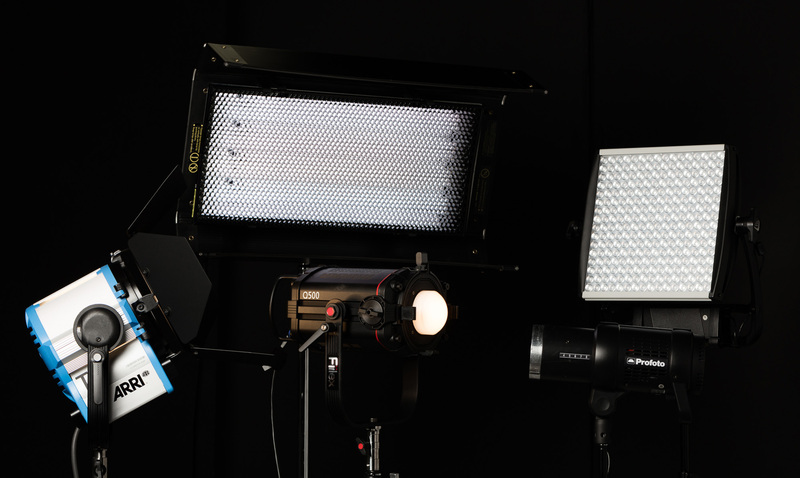 Whereas LED panels will often have control over your warm and coolness, many Tungsten and HMI lights don’t. 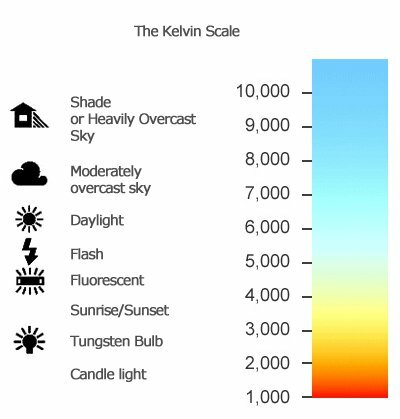 Be sure to always check the Kelvin rating of your lights, and make sure it matches with the scene and your camera’s white balance. Power is probably the hardest aspect to measure, as there isn’t really a measurement used to rate lights and their power outputs. Watts isn’t a measurement of light output, rather power, and lumens or candela are not common terms when describing lights (honestly, they’re usually just met with marketing mumbo-jumbo like ” powerful than the insert competition here“. So, unfortunately, the best advice here is to just try a variety of brands and products and stick to the ones you know best. When watching films and television shows, one thing you may notice about the lighting is that they’re always short lighting. Short lighting is the process of lighting the face with the shadow side towards the camera. This technique will add drama to the shot and is an effective way to set the tone of a scene. 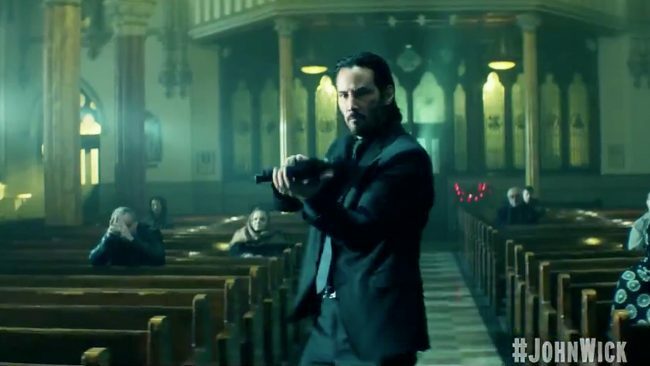 This technique is often used in interior shots, where the dialog is the driving momentum to the scene. With film, it’s common for your subject to be talking to someone off camera, which just makes short lighting easier and more effective. If your subject is talking to someone off camera, short lighting can be achieved by splitting the light and camera into the opposite sides of the eye line. By doing this, you’ll naturally get the shadow side facing the camera, and will get a more cinematic image as a result. Short lighting is an incredibly useful way to add drama to your set, but not everyone is making films where that needs to be conveyed, so let’s also look at the most tried and true lighting techniques, the 3-point lighting setup. 3-point lighting is an extremely common lighting technique and allows you to get multiple camera angles on a single shot without needing to change the lighting or set. As the video above entertainingly explains, the 3-point lighting set up was created by Karl Freund, a German cinematographer known for his unique and exciting ways of creating drama with lighting. He went from creating masterpieces like Metropolis and Dracula, to essentially ‘dumbing down’ his lighting techniques to help create shows like ‘I Love Lucy,’ where character and dialog were the driving force. And this was all done for good reason. 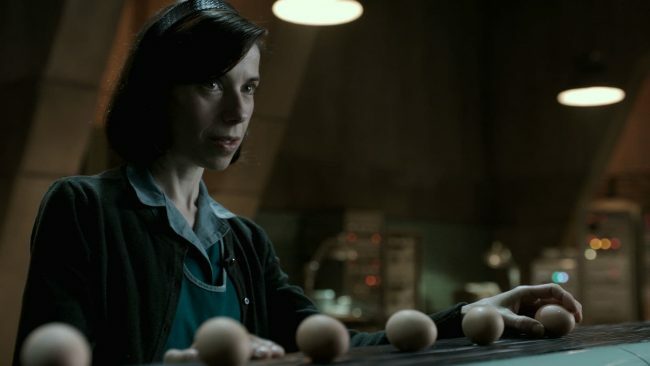 So beyond anything else, the 3-point lighting technique was created for efficiency; creating simple, but a beautiful light that works at multiple angles and speeds the filming process along. So let’s go over what it looks like. 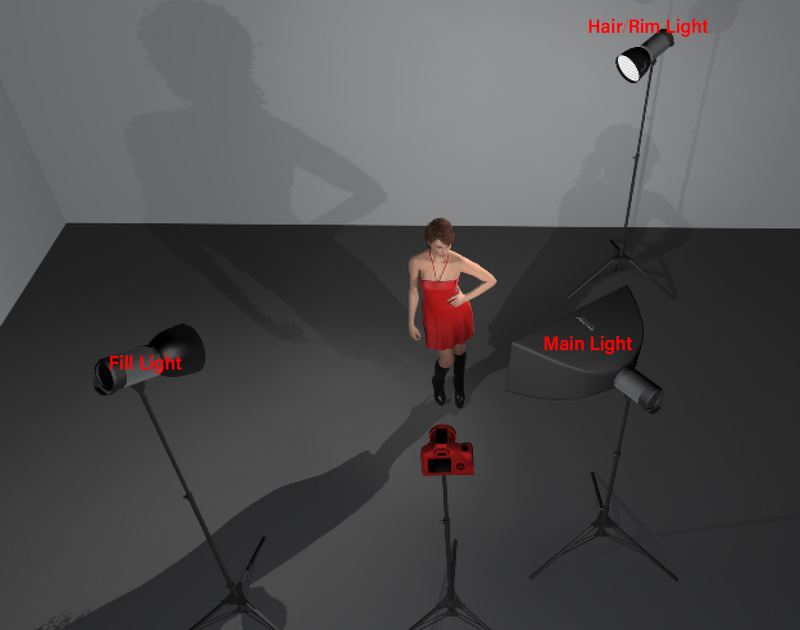 As you can see in the diagram, the 3-point lighting set up is designed to give kind of boring lighting. The flat design of the lighting provides little visual aspects to the lighting, but it does provide on very useful purpose – it’s broad in its direction. 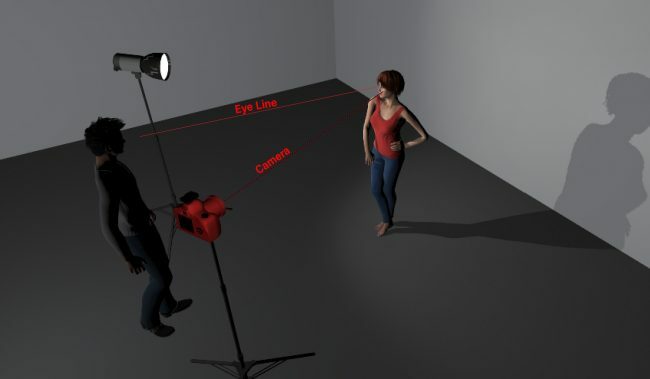 Beyond anything else, 3-point lighting is designed to give people the ability to move around the set, without needing lights to adjust to their movements. 3-point lighting is efficient and helps speed up the otherwise tedious work that video can be. And with nearly 70 years of it being the industry standard for TV shows and sitcoms, 3-point lighting feels natural and normal to the viewer. One of the most important things when lighting a set is to light with a purpose. Just because you have access to a certain number of lights or a large set, doesn’t mean that you need to take advantage of it to its fullest. The best lighting in the industry is from those who can take the subtle cues, and make the most of them. For example, look at the short lighting examples shown above. Notice that the lighting on John Wicks face matches the color temperature of the flair that is coming from the window stage left. In the scene from Logan, the color matches the sparks flying in the background. Making use of your lighting, and more importantly, making sure it matches the lighting of your set, is going to make a world of difference when it comes to the final product. Properly lighting a scene in videography is a lifelong journey before you can call yourself a master of the craft. By no means is this article meant to give you an expert analysis of the technique, but rather serve as a reminder and give some helpful pointers to those who may not have moved from natural light yet. Please feel free to share your insight and tips in the comments below. When I saw the first “Star Trek: The Next Generation” movie, I was amazed to see that the Enterprise actually had shadows. You never saw any in the TV show.